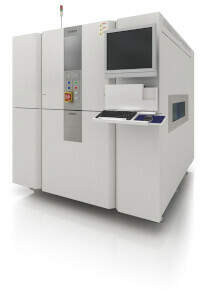 Omron brings AXI performance to a new higher level with the New VT-X750. OMRON will launch this machine at Productronica 2017 in Munich as a World Premiere. VT-X750 is the world's fastest AXI machine to utilise Computed Tomography (3D-CT) as its core of image and inspection quality. A New High Speed Technology enables the VT-X750 to be up to twice as fast as the current VT-X700. The automated inspection logic has been improved for many parts such as IC heal fillets, stacked devices (PoP), through hole components, press-fit connectors, and other bottom terminated parts. Increasing automated inspection speed and expanding inspection logic enables full, in-line inspection coverage by 3D-CT method. 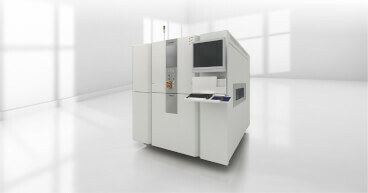 OMRON’s unique 3D-CT reconstruction algorithms provide unprecedented solder shape recognition and defect detection. Dense and dual sided board design can provide challenges for X-Ray inspection. However, Omron's 3D-CT technology can overcome such design restraints. New VT-X750 also offers the possibility to inspection XL board up to 610 x 515mm for a foot print of nearly 50% less than other Large Size AXI machines with only 2.99m2. This new Machine will be exhibited at Productronica 2017 in Munich in November in Hall A1 Booth 538. We would like to invite you to come to the Exhibition. You will be more than welcome.